Synopsis- In Delhi a small baby lies alone and abandoned. The product of IVF and surrogacy, she had been so coveted – until she was born with a fatal illness. No one knows how the infection could have been transferred to the child, but one thing is certain: no one wants her now. Thousands of miles away in London, Kate and Ben are desperate for a baby. But, despite all their efforts, fate seems to be skewed against them. Then, as Kate suffers another miscarriage, she knows something has to change. She has heard of women who are prepared to carry a baby for others, and she knows this might be a way to finally find happiness. But will her desire for a baby stop at nothing…? And between the two, feisty social worker Simran Singh is determined to uncover the truth behind the shadowy façade of the multi-million dollar surrogacy industry. Women and children are being exploited, their lives thrown away like so much dust. Is she is the only person prepared to stand up for what is right…? 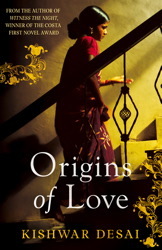 Review- Origins of Love is a beautifully constructed story that spans across India and London and follows various characters whose lives intertwine. It masterfully explores many controversial fertility issues such as IVF, surrogacy, sperm/ egg donation and adoption against a fictional (but could very easily be true!) backdrop. Simran Singh is a social worker who provides support to the Madonna and Child clinic in Delhi, run by couple, Anita and Shrimshan who provide surrogates to couples with fertility issues. The women who are enlisted by the Hospital are often living in poverty and require money to support their families- there’s big money in carrying a foreigners child but it does come at a cost. They have to remain in the hospital for the length of the pregnancy, their fattened up with high protein foods and some have their skin whitened and a school certificate forged so they are more attractive to westerner’s seeking a surrogate. It’s a successful clinic with a high demand, but when baby Amelia is born HIV positive and her parents are killed in a roadside accident, Simran intends to get to the bottom of how her illness was acquired and search for any living relatives to find Amelia a home. Her search takes her to London where she soon realises that there’s a lot more to this whole business than meets the eye and someone wants her out of the way, possibly even dead. She seeks out an English man who regularly donates sperm to see if he can help her uncover the truth to Amelia’s fatal illness. Origins of Love also explores the emotional turmoil experienced by Kate who resides in London with Ben, following several miscarriages. She decides to take one last shot at having a baby that shares her DNA by attending the Delhi clinic to recruit a surrogate. Ben’s conflict is also explored in depth and his dilemma in wanting to support his wife but also wanting to set limits to their attempts at having a baby because of the stress that it places on them as a couple. Sixteen year old Sonia who is determined to break free from the control of her cousin Rohit who exploits her body for his own gain, signs up as a surrogate at the clinic in Delhi. She hopes to earn enough money to leave Rohit and return to her home village where she has been separated from her children. Surprisingly, Rohit supports this scheme, only he has no intention of letting her go anywhere. In fact he has some ideas of his own and manages to convince Sonia and the clinic to impregnate her with a political dynasty, the heir to Renu Madam. Doctor Gungaly is a seedy character who has no respect for his patients and not only works in the Delhi clinic but has also set up a side-business that utilises embryos that have been confiscated via customs. This is where dodgy customs officer Ali comes in, who will do anything for a quick buck. He ropes in his colleague Mehta to help him, but Mehta is a little more morally inclined than Ali and does some investigating of his own. Origins of Love explores some really serious topics, but in a light-hearted way. The Delhi setting really adds to the controversies as the laws and morality surrounding fertility are swayed and young disadvantaged women do not have the rights there that they have in western countries. The author skilfully weaves various characters, sub-plots and mixes it up with mystery, suspense and ethical dilemmas. I highly recommend this read! 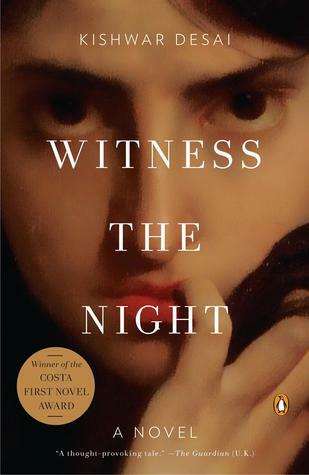 I’m really keen to pick up Kishwar’s first novel, Witness the Night which offers another adventure involving social worker, Simran Singh.